A delightful selection of fine teas and sweet treats perfect for the most satisfying afternoon tea. 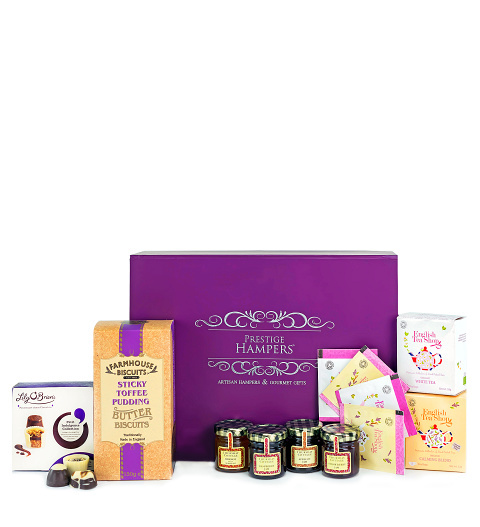 Send this delicious tea gift to spoil Mum this Mother&apos;s Day. All of these scrumptious goodies come perfectly packed inside a lovely purple magnetic box for the most elegant presentation.